The Dark Have Underestimated You and Your Capabilities. More souls awaken to the truth about themselves. Sail Through Life With a Cosmic Perspective. It’s so easy to be sidetracked in life and miss the bigger picture, to look at what others have achieved and wonder, “What have I done this whole time?” But all feelings of inadequacy you experience are caused by losing yourself in the minutia of human life: the race be more productive, more successful, to get ahead. Sure, those things are important, but only to a point. If you concentrate on them too much, you risk ignoring the forest for the trees. You’ll feel guilty for not being as successful as you dreamed to be, envious of people who are, or bitter if you put in the work and sweat, but things don’t seem to click. Your own life is a miracle. At the moment, we do not know for sure if complex lifeforms (meaning bacteria and above) exist on other planets. As far as intelligent life goes, the odds can be as low as 1 in 100,000,000 planets (maybe even lower). Viewed on a cosmic scale, the existence of a single human, you, is wondrous. But what makes this even better, is that you are not a single wonder. As you are reading this, 7 billion other souls are breathing the same air as you, to say nothing of all the other living beings on our planet. Why does this matter? Because you do not exist to be alone. No human exists independent of humankind, even hermits. If you see humankind as a whole, and track it’s evolution and progress in history, you’ll notice that (almost) everybody participated to push our species further, to learn more, to better ourselves. And they did so simply by existing, and trying to make a better life for themselves and people they hold dear. Some estimate that the total sum of humans that have ever existed is over 100 billion. Out of these, only a few thousands are celebrated and mentioned. A vastly higher number are not, even though they certainly deserve it. But all humans have played a part in taking us from sticks and stones, to rockets and the Internet. Past generations didn’t build them directly, but they made the stepping stones that later generations needed to climb on. And the result of this work and toil is nothing short of amazing. To put it into perspective, the average American of 2018 has a far superior quality of life compared to the wealthiest king in the 1850’s. Once you view mankind as a whole, you realise that no human can live without affecting another. It doesn’t matter if they live 2000 years apart, or 2000 km apart. A well lived normal life will ripple across time and space to impact the lives of countless others. You will likely never know how many lives your actions will improve, and nor will the people who benefit know how much you helped them. And that’s ok. It is estimated that the total number of humans who have ever lived exceeds 100 billion. It’s impossible to remember them all, so we celebrate just a few thousand “great people” at most. But even these celebrated few are periodically forgotten and replaced by newcomers. In fact, chances are that the most famous and successful people alive today will be entirely forgotten in 500 or 600 years from now, except for a few passionate history buffs. Nobody is pressuring you to be the greatest, except yourself. Getting to terms with both the rare wonder that is your existence, but also it’s fleetingness and insignificance, will ease the stress you place on yourself, and allow you to connect to the only real thing: the Now. It’s easy to fall into the trap of thinking that the more goods you own, the happier you will be. To a point, that’s true. You can’t be happy if you have to constantly worry about surviving until the end of the month. But what really brings enjoyment to life and contentment is becoming a better person, either through learning about the world, or acquiring new skills. The people who most enjoy life do things that challenge them to learn, to grow. Often times, this brings material rewards as well, often times more than if they had simply worked for these from the start. Socrates famously said “The unexamined life is not worth living.” He uttered this phrase after he was sentenced to death by the Athenians, for questioning the nature and existence of the gods, and corrupting the youth. In another great philosophical work, Plato claims in Phaedo (through the voice of Socrates), that philosophy is nothing but a preparation for death. When it comes down to it, all of the material goods we will ever own simply make our lives more comfortable, but not more meaningful. There is nothing shameful in wanting a better material life, indeed it is desirable. But our lives are short, and we owe to ourselves to learn, as much as it is possible, where we have come from, and where we are going. On a more worldly note, countless studies have shown that what truly brings us happiness is doing good for others, and nurturing our relationships with other people in our life. Biologically, we’re built to be sociable. Our entire evolutionary history has us living in packs, ranging in size from a few dozens to millions. Embrace this side of you, keep in touch with friends, distant family. Be the first to call, even if they don’t. It might seem like you’re doing it for them, but in reality, everyone benefits. Paul Bonea is the blogger behind Hasty Reader, a book and self-improvement blog where you will find summaries (not reviews) and actionable ideas taken straight out of the books we read. You will also find articles on various tips and tricks that can help you out in various situations, and useful concepts your reader can use in your life journey! Why Heart Disease is the Leading Cause of Death – and How to Avoid It ~ Makia Freeman. Sadly, the “saturated fat and cholesterol are bad for you” myth continues today, with some esteemed doctors commenting that the testing and treating of cholesterol is the biggest medical fraud around! It underpins the propaganda that Big Pharma uses to push one its favorite drugs of choice: statins. In 2017, the CDC found that about 28% of American men and women over age 40 take a statin. 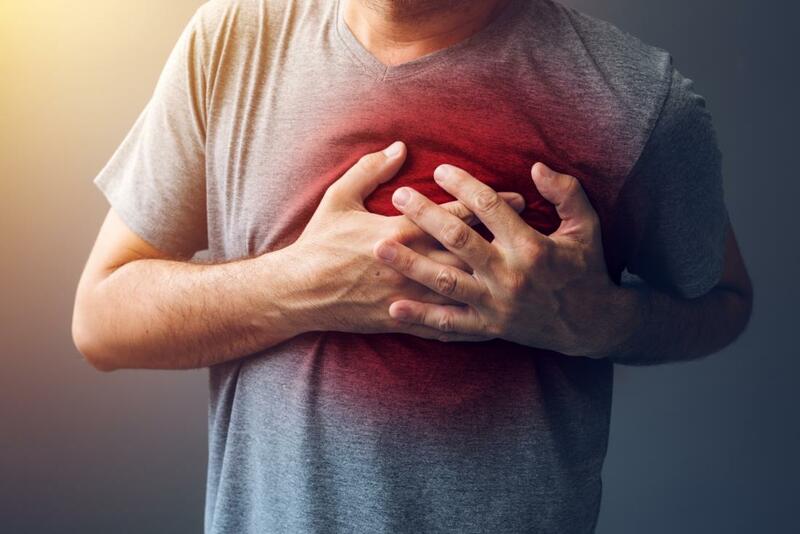 Statins are very dangerous: they block cholesterol production but an international study found that 39% of men and 34% of women who have had heart disease have high triglycerides or fat levels, so what’s the point? Exercise makes the heart grow stronger, but statins block the adaptation of the heart to get stronger and the body to produce more mitochondria/energy. Be Brain Fit explains that statins decrease the production of CoQ10, a nutrient that protects both the heart and the brain. Memory loss is a documented side effect of statin drugs; they are also implicated in dementia and Alzheimer’s. The FDA requires that warning labels state that statins can cause memory loss as well as mental confusion, liver problems and type 2 diabetes. Statins can lead to diabetes at an alarming rate; research has found that nearly half of women who take them eventually develop diabetes, and to come full circle, diabetes is a disease which greatly increases your risk of dementia. 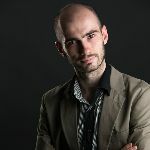 Makia Freeman is the editor of alternative media / independent news site The Freedom Articles and senior researcher at Tools For Freedom, writing on many aspects of truth and freedom, from exposing aspects of the worldwide conspiracy to suggesting solutions for how humanity can create a new system of peace and abundance. Makia is on Steemit and Facebook. AI Building AI – Is Humanity Losing Control Over Artificial Intelligence? Patients Are Dumping Benzodiazepines in Favor of Cannabis to Treat Anxiety ~ Alex Pietrowski, Waking Times. Patients Are Dumping Benzodiazepines in Favor of Cannabis to Treat Anxiety. By Alex Pietrowski, Waking Times. Perspective on the new reality ~ Ascended Masters and more. Perspective on the new reality. Channeled messages come via many channels and sources. Posted February 12, 2019 by Edward Morgan. Channeled messages come via many channels and sources, for instance via Mike Quinsey (a channel for SaLuSa from Sirius), Sheldan Nidle, and other extraterrestrials from the Arcturian and Pleiadian star systems. It is necessary to have a certain knowledge regarding the reality they are speaking from, and which will be ours, for those who so wish. These extraterrestrials represent and are part of the Galactic Federation of Light. 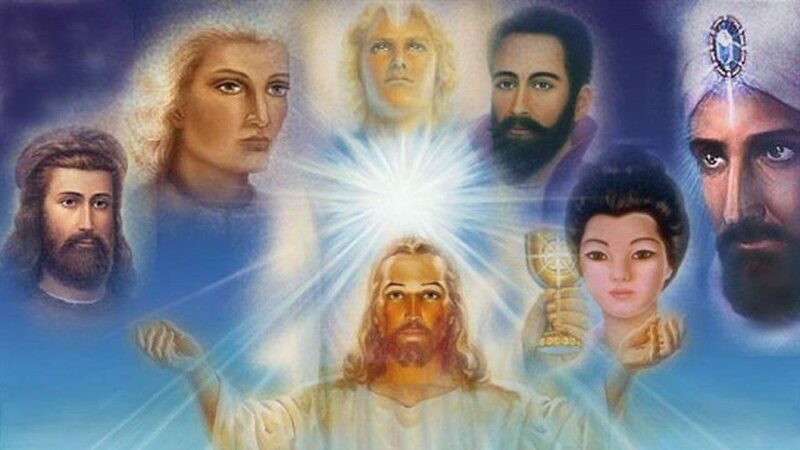 In addition channeled messages are forthcoming from our Ascended Masters, such as Sananda (Jesus) and Saint Germain, plus many Archangels. These Ascended Masters reside primarily on ships belonging to the Galactic Federation of Light. We want to start by saying that the disclosure of the existence of loving and supportive extraterrestrials is very close in time. The exact date is not given and is dependent on developments. Let us first put together the context from a broader perspective. Our solar system itself circulate around the Central Sun – Alcyone. Alcyone is the central sun in the Pleiadian Star system and our solar system could also be considered as part of the Pleiadian system. The time to orbit is about 25860 years, which is one cycle. Alcyone and all Suns circulating around Alcyone also circulate around the Milky Way Galaxy, with an orbit of around 220 million years. During the passage around Alcyone our solar system goes through the photon belt during certain periods of the full 25860-year cycle. We have recently started our entry into the photon belt, which is one reason for the heightened energies of Love and Light that Earth is experiencing. Officially, our latest cycle ended on December 21, 2012, and we are now in the new cycle. The new cycle is often referred to as the Golden Age. The date is confirmed by the Mayan Calendar, which ended at this date. The calendar has always said it was the end of a cycle and the start of a new, which some have misinterpreted as meaning the end of the world. The Hindu calendar, according to many scholars, also puts an end to the dark Kali Yuga cycle at this time and the entry into the Satya Yuga. Similarly many indigenous spiritual belief systems have 2012 as the end of an era and the official start of a new one. The human species was seeded on Earth the last time about 800,000 years ago on the continent Lemuria, formerly located in the Pacific Ocean. Before this human root races had also been seeded on Earth, but were removed from Earth by other Galactic races. The Human race originally evolved in the Vega Star system from aquatic roots about 7 million years ago. The human colony on Lemuria thrived for a long time, but went under about 26000 years ago, due to among other things unbalanced energies – with a surplus of feminine energies. Many of the inhabitants managed to escape the sinking continent to reach Inner Earth – Agartha – where they continued to evolve and have reached a higher level of consciousness (5th dimensional consciousness). Part of the demise of Lemuria was also the conflict with the Atlantis continent, which suffered under an unbalanced surplus of male energies. In the latter years of this continent, which went under 13000 years ago, the Atlanteans pursued dark agendas, which included reducing our forefathers to a status of limited consciousness, which we have suffered under since then. This dark agenda also led to the very physical demise of the continent, which was located largely in what we today call the Bermuda triangle. The Atlantis society used very advanced crystal technologies. As the continent sank under the waves very large crystals ended up on the ocean floor. These crystals are today responsible for many unexplained disappearances of ships and airplanes, due to opening up of portals thanks to interaction between sunlight and the crystals. The Inner Earth or Agartha might be a very surprising aspect for some. According to the description of reality in messages posted on this site Earth is hollow. The shell is proportionally as thick as the peel of an orange or about 800 miles. Other planets in this solar system, such as Mars and Venus, and other planets around other stars are also hollow. This is the norm in the Universe. There are wide entrances to Inner Earth at both the South Pole and the North Pole. American Admiral Byrd describes his airplane flight via the North Pole into the Inner Earth and back in 1947. In addition there exist tunnel systems at other latitudes to Inner Earth, particularly in Tibet. The fables from Tibet of Shangri-La describe life in Inner Earth and the city Shambala that lies directly underneath the Himalayan mountain complex. Also, the city of Telos in Inner Earth is located underneath Mount Shasta in the United States and it is connected via systems of secret tunnels to Earth surface. Gravity functions in such a way that it is reversed (180 degrees) in Inner Earth compared to the surface world. About four hundred miles down in the crust of Earth there is a neutral zone with zero gravity, before it reverses direction as you move yet deeper and reach Inner Earth. Inner Earth also has an Inner Sun, which on the shores of the Inner Earth appears roughly the same size as our Sun Sol, the latter is located at a much larger distance. The Inner Sun has a more diffuse light and is also sometimes referred to as the Core or Seed of the Earth. Before the demise of Atlantis (and also Lemuria) mankind had a higher level of consciousness. The dark Atlanteans engineered a reduction in consciousness in the human race, to what we now call the third dimension or duality or just simply limited consciousness. The term living in the illusion also refers to this level. This traumatic experience of moving down to this lower level of consciousness still lingers in our sub-conscious minds, expressed as the fear of the end of the world. However, the end of this cycle will not coincide with a new catastrophic development, as did previous ends of cycles, – quite the revers. Some people from Atlantis managed to escape the sinking of Atlantis in physical form. They fled to for instance Guatemala and these people come to be known as the Mayans. In fact, Maya was the name of the priesthood at Atlantis. The Hopi Indians are also direct descendants from the Mayas and Atlantis. Other people fled to Ireland and on to Egypt. This started the Egyptian civilization. Pyramids are a central form from Atlantis, with a unique spiritual meaning. 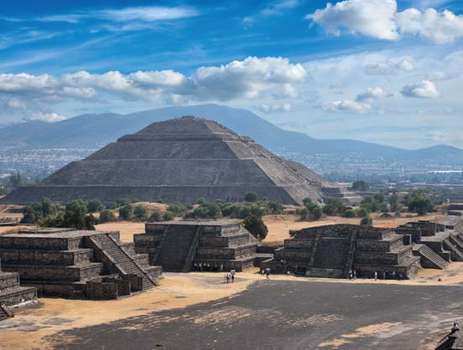 Pyramids also exist in Guatemala, Egypt, Bosnia and other parts of the world. The three large pyramids in Egypt, for instance the Cheops pyramid, and the Sphinx were however constructed by extraterrestrials about 40,000 years ago. They are located in line with the Sirius star system (The North Star) on a very important node or chakra in the Earth energy field. The concepts of reincarnation and that the soul is immortal are central among these messages and a fact, in spite of the fact that many do not believe so. Many of us who are now incarnate on Earth were also incarnate during the times of Atlantis and Lemuria. Some other souls who now are here and incarnate came from other planets in other solar systems and they are called Starseeds. Regardless of the recent origin of the souls the common focus is now to lift the human consciousness level – Ascension. This time it will not be a failure, as at the end times of Atlantis and Lemuria. The male and female energies will be balanced. An uplifting of consciousness will take place that moves the consciousness level quickly through the fourth level to the fifth dimensional level, which is also referred to as full consciousness. Our spiritual and physical abilities will quickly and dramatically change. We will consciously start to remember previous lives and communicate more and more telepathically. Aging, which we now experience, will first slow down and then be reversed and the rejuvenation process will commence. Ascension is optional and will not be forced on anybody. Those that chose the way towards Ascension will follow Mother Earth to a higher vibrational level in the fifth dimension. 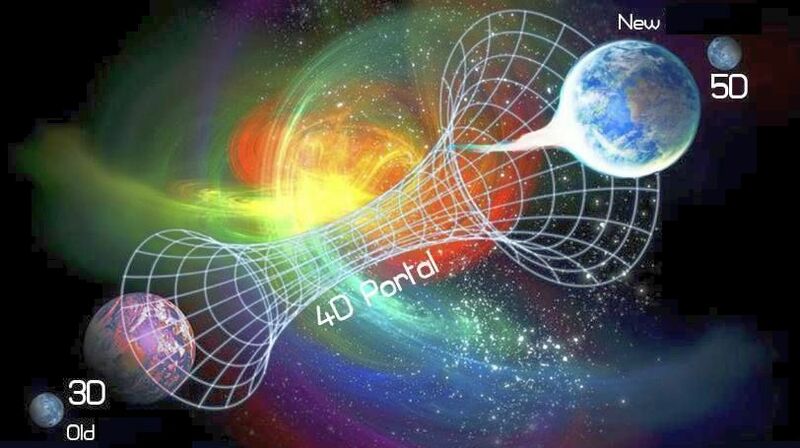 Those souls who prefer to continue their experiences in the third dimension (3D) will end this life and start new lives on other 3D planets very similar to Earth. One such planet is called Herculobus and is being prepared specially for souls from Earth. These souls will continue their development on these planets and will eventually be ready to Ascend to the fifth dimension. However, the next opportunity to Ascend in large numbers might take a long time. 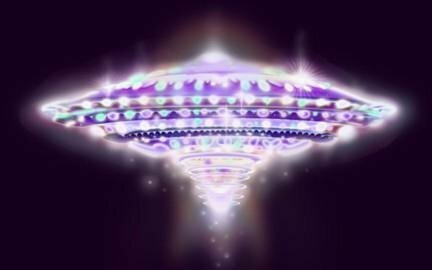 The Ascension of large number of souls all at once and in their bodies, which is taking place on Earth is unique and many extraterrestrials in higher dimensions are here to witness the process and help. Normally souls attain a higher level of existence as part of their next life and do not take the body they are in with them. This, our Ascension process en masse and in our bodies, has not previously taken place in this Universe. 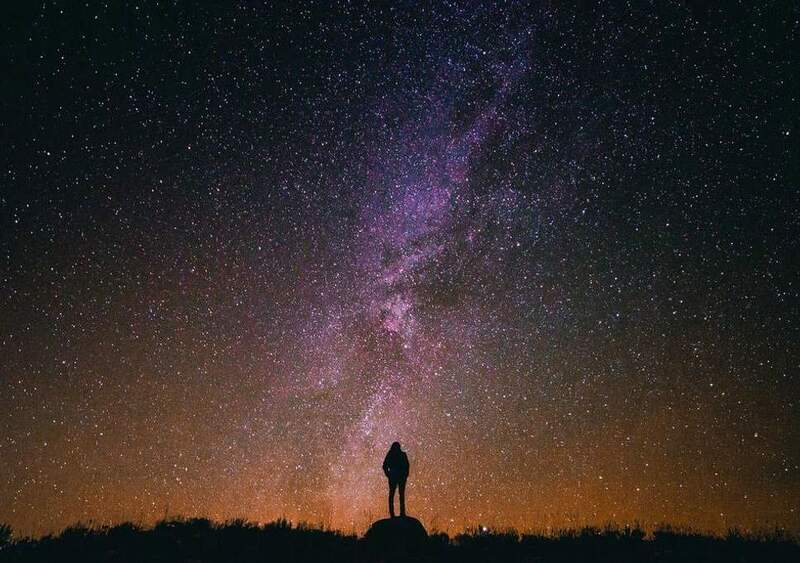 The Ascension taking place here on Earth takes center stage in more than one way, and it is key to the Ascension that also is taking place in other solar systems in this galaxy. The extraterrestrials that are here can generally not be seen. They use cloaking technologies for their ships, which make them invisible unless they turn it off and show themselves. This happens more and more often and is the reason for some of the UFO observations. The extraterrestrials that are here are for the most part friendly and full of love. They belong to the Galactic Federation of Light and reside in the fifth dimension or higher. They also protect us from unfriendly introducers from dark civilizations. In the Galactic Federation of Light there are a majority of human extraterrestrials from Pleiadian star system, from Sirius A, Arcturians, Herculians, Andromedans, Alfa Centurians, Ummites, Procyons, Tau Centians, Lyrians and many more. 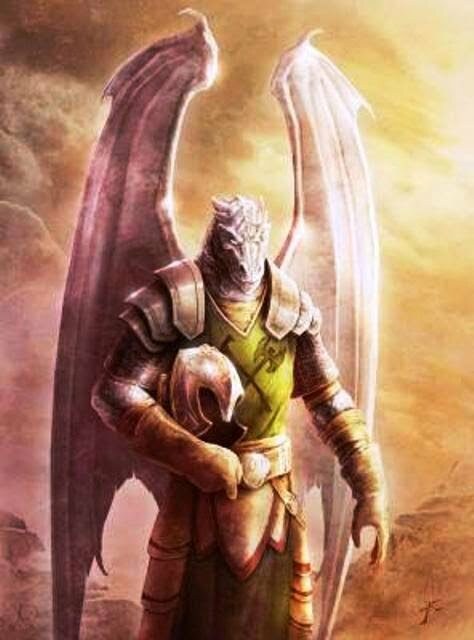 Lyrians are especially interesting, since it has been said they represent the original human race that developed in the Vega system. The others represent later developed human colonies, which also we are. Members of the Galactic Federation of Light are mostly of human origin, but not completely. There is also an extraterrestrial dark side, which was allowed by the Creator. 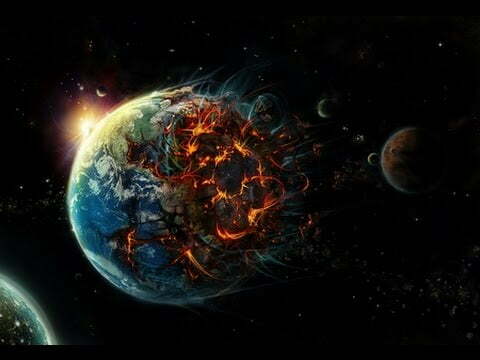 The dark side was allowed to infiltrate and cause the destruction of the civilizations on both Lemuria and Atlantis. Many galactic wars were fought with the dark galactic federation called The Anchara Alliance. They had their central locations in the star systems of the belt of Orion. Members of the Anchara Alliance have more often than not reptilian genetics. For instance the demons and gargoyles that adorn many churches in Europe from the Middle Ages – for instance Notre Dame in Paris – represent extraterrestrials with a reptilian genetic form. One of the most important races is Dracos. It is a powerful reptilian race, both physically and mentally. While most Dracos belong to the dark side there are exceptions. The true power in the dark alliance has a more pure reptilian background. This includes the Dracos and its royal race – the Ciakar. 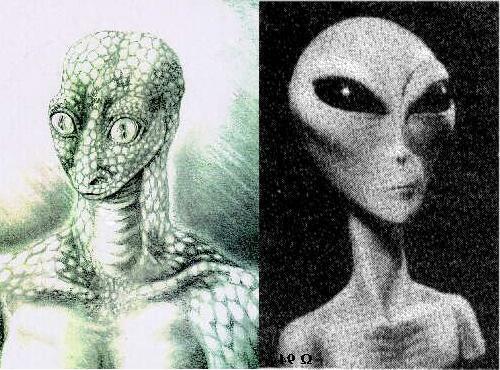 The latter are formidable reptilian individuals with wings. They can possibly correspond to our “myths” about dragons. Galactic wars have taken place with the Anchara Alliance as the main actor during millions of years. This has, among other things, led to the destruction of the surfaces of Mars and Venus. Our solar system initially had four beautiful water planets, similar to Earth. The fourth planet Maldek was the largest, and was completely destroyed in these wars and all that remains is what we call the asteroid belt. In other words the asteroids are pieces of the former planet. All four planets will be restored to their pristine conditions, via a process called terra-forming, and be part of our new Solar system. The name of Maldek will then be changed to Pax. For those interested in astronomy it can be mentioned that our current moon previously was a satellite or moon around Maldek and it is not natural. It has an inner construction made out of Titanium. When our current artificial moon was put into orbit around Earth a long time ago the two natural moons that then existed were removed. These two moons will be recreated via terra-forming and the current artificial moon will be removed. Yet one more planet will be recreated. In it is the innermost planet, inside the orbit of Mercury, called Vulcan. It is small, but was observed from Earth around 1840-1850, but can currently not be seen. Further, some sources state that Earth has a most unique position in this galaxy. 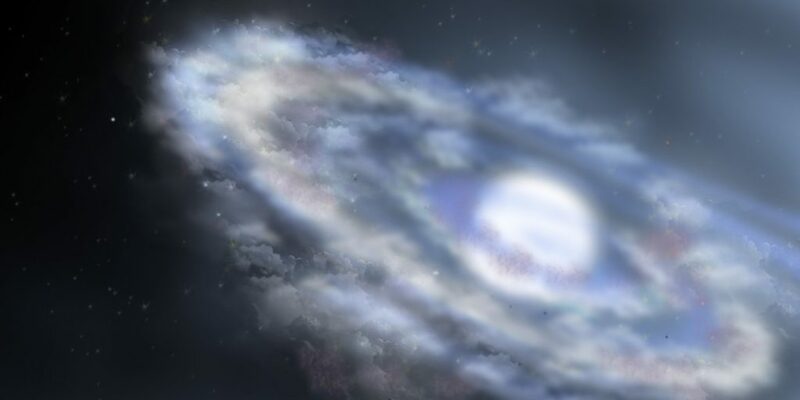 A certain singularity source exists within Earth, from which the whole Milky Way Galaxy grew. This makes Earth a very special and sought after planet, over which many wars have been fought. It can possibly also explain why Earth was not destroyed to the extent that the other water plants were in this solar system. It has further been stated that our solar system will approach and move closer to that of the Sirius system and become a part of it, and its existing suns; Sirius A, B and C.
As we discuss astronomical or geo-physical changes it is also interesting to note that at the time before Atlantis went under Earth had two Firmaments surrounding it. They were two spherical layers of ice crystals in the atmosphere surrounding Earth, which were held in place via the earlier mentioned advanced crystal technologies that existed on Atlantis. The Firmaments served the function of providing a protected and temperate climate around all Earth. When Atlantis went under and the crystals disappeared to the bottom of the ocean the Firmaments could no longer be held in place and the ice crystals fell down to earth. This created the basis for what was retold in the Bible as the Deluge due to the Fall of Man and the anger of the Gods. Recall that as Atlantis went under Humanity fell from full consciousness to limited consciousness. Atlantis and Lemuria will once again be raised to the surface once the transformation of the surface of Mother Earth starts in earnest. The Firmaments will then also be restored together with the two original moons. This will be part of creating a balanced and temperate climate on Earth. 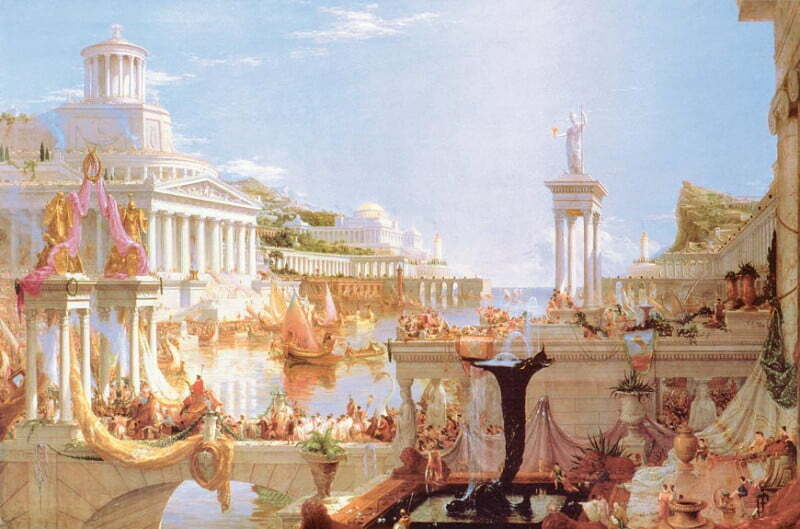 Let us return again to the fall of Atlantis 13000 years ago, but from a different angle. 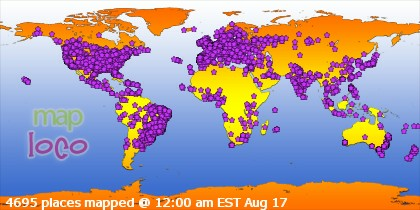 The remaining and now in capacity reduced human race managed to establish a primitive existence on other continents. Shortly after the fall of Atlantis the Anunnaki extraterrestrial race entered the scene and approached Earth. Their home base is on the planet Nibiru, or sometimes called Planet X, or Planet of the Crossing. It is a planet that goes in an elliptical orbit between Sirius and our Sun. The Anunnaki are sometimes called the Nephilim and were very large in stature – giants. 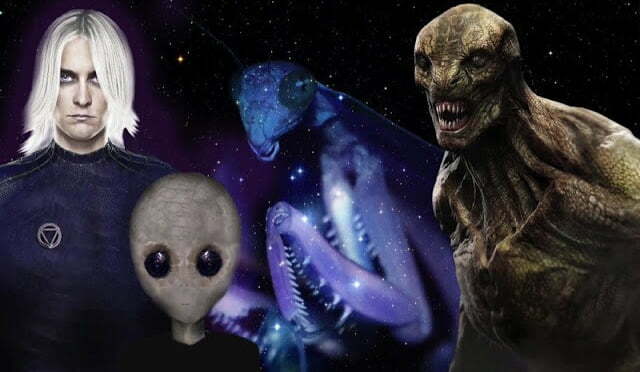 It was a hybrid race with human genetics from Sirius B and reptilian genes from the Orion system. The Anunnaki people worked together with their rulers the Dracos. As the human race had digressed in development and moved backwards to limited consciousness with its lower vibrations it become easy for the Anunnaki people to land on Earth and set themselves up as gods in the eyes of humanity. The Anunnaki people were not only large in size they had special technologies and abilities as well. The Anunnaki did introduce certain technologies and knowledge, which led to flourishing cultures such as the Sumerians. They built step pyramids, Ziggurats, in Mesopotamia and elsewhere. They functioned as holy places where the Anunnaki showed themselves. Also it was a place for the male Anunnaki to sire offspring with female humans. The offspring was called half-gods. The half-gods had special abilities, such as long lives, stemming from the father’s lineage. These half-gods and their offspring in turn became the founders of the tradition of kingships, under the tutelage of the Anunnaki. During subsequent centuries and millennia Kings were selected from offspring of the original half-gods. They carry a certain special bloodline, which is sometimes referred to as blue blood in nobility and royal families. This has led to attempts to keep royal families marrying within themselves to preserve this bloodline. This same bloodline is also important for the Freemasons. In order to reach the top 33d level within the Freemasons today blood tests are performed and this particular bloodline is required. The Light did not leave Humanity all together in the hands of the Anunnaki after the fall of Atlantis. Jesus Christ, Buddha, Mohammed came to spread the Light. However, the religions that were formed following the departure of such Masters were infiltrated by the dark led by the Anunnaki. The Christian religion went through a major directional change starting with gathering in Nicea in 325 a.d., under the Roman Emperor Konstantin. Before this date the Christian faith contained the concept of reincarnation, but not the concept of sin, and Jesus was seen as somebody who set an example that could be followed and not the Son of God, which nobody else could achieve. Around this time the concept of sin was introduced and a system of going to church to beg, pray for and buy the absolution of your sins. This made the Catholic Church very wealthy over the centuries. After the time of Jesus Christ the control over mankind became less overt and was achieved by the Anunnaki and their minions through more subtle means. 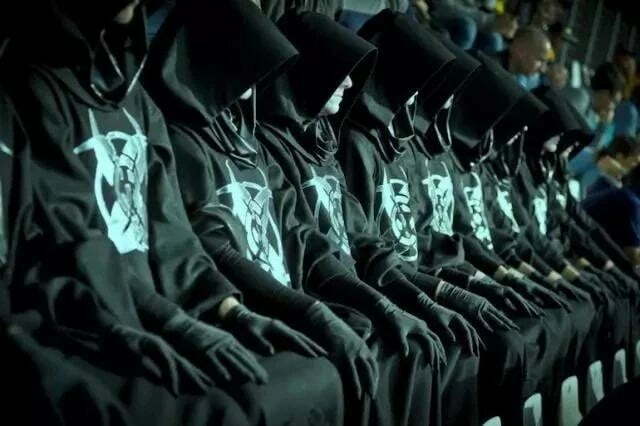 Many secret organizations were formed and some not so secret, such as the Freemasons. Much of the focus was on creating fear and suffering among the populations, which advanced the agenda of the Anunnaki and their overlords. Lets move quickly forward to the time of the French revolution. Around this time various dark groups supported by secret organizations and the Anunnaki started to use the name Illuminati – the illuminated. However, they are not of the Light, but quite dark. Today the Illuminati consists of about 13 leading families, included here are the Rothschilds, Rockefellers and a range of European dark nobility families. At around the time of the French revolution and the American Revolution Count Saint Germain was active and incarnated in France. This soul was also incarnated as Joseph, father of Jesus, at that time. He was also Christopher Columbus and Merlin at King Arthur’s court. 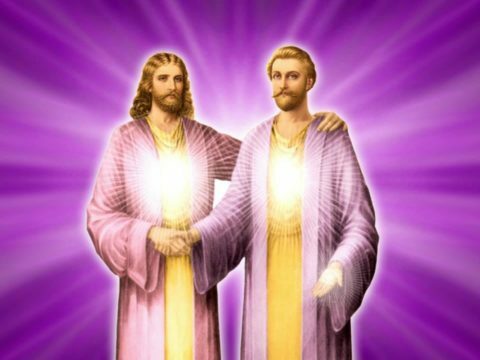 He and Sananda (Jesus) work very closely today and will come back together. So, at around this time St Germain established what is called the Saint Germain World Trust. It is a fund that has been accruing in value since this time, thanks to his financial genius. Also, at this time Saint Germain was key to assisting the Founding Fathers with writing the American Constitution. As the Founding Fathers hesitated in signing the document they had created – fearing for their lives – he appeared in front of them, a stranger, and gave a speech that gave them courage to sign the document. Since this period in history the dark, mainly the Illuminati, have dominated our world and since 1913 they have used the American Central Bank as a key instrument for this. The 13 Illuminati families own Federal Reserve Bank. The dark have had a very sinister agenda of depopulation on Earth via a range of catastrophes, while at the same time building underground bases to which they would retire and survive the catastrophes in. As part of the depopulation program the dark designed a plan for three World Wars. The Third World War was intended to be a conflict between the Moslem world and the Western Christian civilizations. The Illuminati’s creation of Israel was part of this plan at the end of World War Two. The state of Israel was created in 1948 based on The Balfour Declaration from 1917, a letter from the then British prime minister to Lord Rothschild – a banker. Attempts are still made to create a Third World War, but it will not be successful. Also, at the end of World War Two when the first nuclear bombs were detonated it attracted much attention among extraterrestrials. They realized that we were not a sufficiently mature society to handle such powerful weapons. The result became that large number of ships from a number of planetary systems came to our shores to observe and protect. In fact, many sources have stated on numerous occasions that they would interfere if a nuclear war were to develop, and make our nuclear devices non-operable. While the Anunnaki dark minions, Illuminati and others, have sought to both depopulate Earth and to establish slave like control of the remaining population they have not been successful. Their luck has turned. Around 1995 the Anunnaki decided to abandon their old dark habits at the same time as the Anchara Alliance entered a Peace Treaty with the Galactic Federation of Light. The result became that the dark minions on Earth no longer had the support of the Anunnaki. However, they did not decide to follow the example of the Anunnaki, to join the Light, in spite of encouragement to do so. However, the Creator and Heaven (non-physical spiritual beings in the seventh dimension or higher) have declared that Humanity on Earth will end its sojourn in the dark – a fact that the dark is trying to ignore. In fact, the Creator intended the dark period for Humanity after the fall of Atlantis to be a period of soul development and growth for Humanity, and from which Humanity would come back. It was never intended to be permanent. Souls volunteered to be part of this experience for their own benefit. As we transition towards a new Reality of Love and Full Consciousness a battle of the souls and minds of humanity is taking place. It is a battle that the Light will win. It is made possible and fueled by the inner developments among Lightworkers, which makes outer changes and developments possible. The Galactic Federation of Light will soon be formally introduced by certain Light oriented major governments to the people of Earth. This is where we currently are in the spring of 2015. As the Galactic Federation is introduced our Ascended Masters will also return. 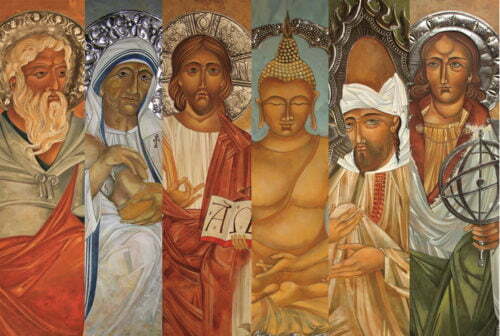 This will include Sananda, Saint Germain, Buddha, Mohammed, Hilarion, Mitreya and many more. 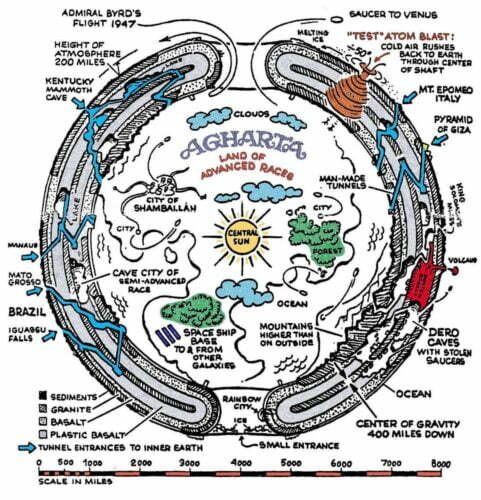 Also at this time we will be introduced to our cousins in Inner Earth (Agartha). Find Confidence ~ The Creator, Jennifer Farley. Think back to when you were a teenager; just about everything felt odd, out of place, embarrassing and just plain uncomfortable. You would ask yourself, “Where is my confidence?! I know it’s in here somewhere” and there were days when you just did not know how to feel or act. As the next wave of the shift comes to your Earth plane, you may begin to feel something very similar. You and those around you are working to find your place, your niche as a new society develops and it may be challenging on many different levels. Stepping up and introducing yourself to this new energy can be awkward but, remember the well of determination within and know you are truly capable of this task! 3 Signs of Unhealthy Parental Pressure and How to Deal With It. ~ Francesca F.
3 Signs of Unhealthy Parental Pressure and How to Deal With It. Everyone feels parental pressure from time to time, but there comes a point when it becomes toxic and detrimental. Parents are the ones who love and care for us most, and a little parental pressure is natural. They want us to succeed and become the best version of ourselves. Yet, there are times when parents can be more hurtful than supportive. Some parental pressure is important to help us succeed and instill a strong work ethic as we grow. This makes it quite difficult to quite understand when parental pressure goes from encouraging to damaging. We assume all that our parents do for us is positive because they are our parents and they love us. This article explores when parental pressure becomes too unhealthy and how we can deal with it effectively. The irony of pushing children to succeed is that it creates a paradox where children associate hard work with parental pressure. They then don’t develop a work ethic of their own because they are not working for a goal of their own, they are working to please their parents. This is detrimental to children as they age when parents are not there to push them. They lack sustainable motivation through further education and into their careers, reducing the chances of future successes. Children under excessive parental pressure also become much more complaisant to their parents’ wishes. This replaces autonomous thinking and judgment, affecting their problem-solving capabilities and need for self-reliance. Overall, too much parental pressure can remove the child’s ability to look inward to find strength and motivation. This will end up holding them back in their future endeavors. Children who face unrelenting parental pressure begin to associate their identity strongly with their grades or the sport they play. If this becomes too entrenched in their personality, failing in academics or sport can cause their personality to fail also. This leaves children who face too much pressure from parents twice as likely to suffer from mental health issues such as anxiety and depression. The worst effect of too much parental pressure is those who appear to be completely happy and successful. These children are actually hiding behind a false front and a fake sense of self. Teens who are forced to succeed throughout school will fail to develop a real sense of who they are as a person. This will lead to an identity crisis in the future when they have less parental pressure to maintain the façade. Without real acceptance of who children are as an individual, they will be hard pushed to accept themselves. As a result, this can lead to a variety of mental health issues and recklessness as young adults. If you are currently dealing with too much parental pressure at home and want to take the problem head on, it’s time to talk to your parents. Try to remain calm and ask your parents to respect your views at the beginning of the conversation. Parents are much more likely to take on the opinions of their child when the conversation is approached maturely. Be clear on your points and know the clear points you want to make, but don’t forget parents need a little reassurance, too. If you need them to back off a little with regard to academics, reassure them you will not allow your grades to slip. If you have an alternative idea for a university course or wish to defer a year, research all of your options and present them with evidence of your alternatives. Showing that you are mature enough to understand your own decisions and accept their consequences will garner respect. Thus, you will find your parents will be much more accepting of your views. Be willing to compromise a little. Allow them to monitor grades or take part in research with you. Ultimately, parents just want to be involved in ensuring the best path for their children. Allowing them to have input will help them feel as though they are helping you along your path. If you suffered from too much parental pressure as a child and are suffering the effects as an adult, it’s important to understand where it is that you suffer. If your self-esteem has taken a hit, or you’re not entirely sure who you are as an individual, take some time to find things you enjoy. Create successes in finding new things and finding what you’re good at. Where your work ethic may be lacking, it is still possible to strengthen it. Practice working alongside rewards to build motivation and concentration. Child-parent relationships can be incredibly complicated. It is a careful balance between support and encouragement, both of which can easily slip into babying and pressure. Asserting yourself to a parent can seem scary, but it is all part of growing up. Parents are doing their best to raise their children. Sometimes they need a little input from their child to help them parent correctly. 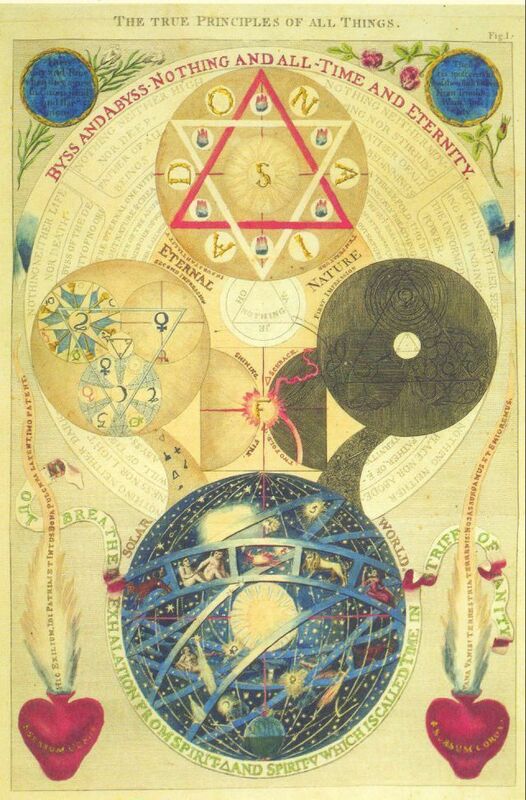 4 Alchemical Tools for Spiritual Transmutation ~ Tamara Rant. 4 Alchemical Tools for Spiritual Transmutation. By Tamara Rant, Conscious Life News. We all just need to look up and within as only then we will know we are never truly without. Happy transmuting!